Diwali festival welcomes light, happiness, good fortune, prosperity and bliss in everyone's life. It's a wonderful festival that showcases all the positive things in life. It's the ideal time to win the heart of near and dear ones. 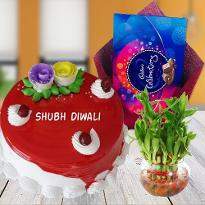 Add sweetness to Diwali celebration by presenting Diwali Chocolates to your dear ones. It's a perfect Diwali gift for family members, friends, relatives etc. 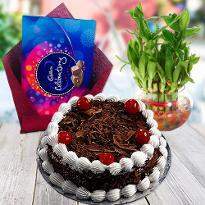 Chocolate gifts on Diwali festival will surely add sweetness to your relationship. Winni presents a huge range of Diwali chocolate hampers to make the celebration filled with lots of sweetness and happiness. 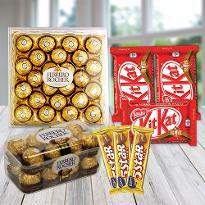 So, go ahead and buy Diwali chocolates online from Winni. 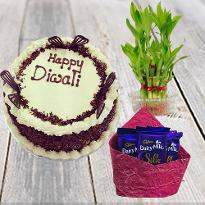 Diwali or Deepavali is one of the most famous festivals in India. The festival is considered as the victory of good over evil or victory of light over darkness. It is commemorated in different styles among different cities of India. However, the essence of the Diwali tradition remains the same as earlier. People also worship Goddess Lakshmi and offer different offering like sweets, metals like gold, silver etc. Children celebrate this festival by burning crackers. 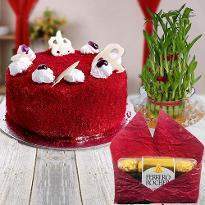 Presenting Diwali gifts to near and dear ones is the ritual of this festival. 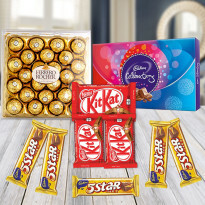 So, to assist you to find a wonderful Diwali gift for near and dear ones, Winni brings to you an array of Diwali chocolates that are luscious in taste. 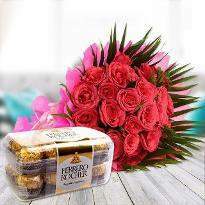 Sweeten your bond with your near and dear ones by sending a box of Diwali chocolates from Winni. Diwali is the festival that entails optimism in the life. It is the ideal day to strengthen your bond with your near and dear ones and meet up with your friends. 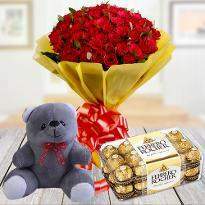 It's on Diwali occasion that people exchange gifts and diffuse happiness and love everywhere. The festival brings enthusiasm, enjoyment and cheerfulness. This Diwali festival spread love and happiness in the life of your near and dear ones by presenting amazing gifts to your dear ones. 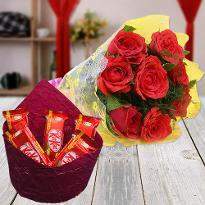 So, if you are seeking for the perfect Diwali gift for your beloved ones that can increase sweetness in your bond then you are at right place. 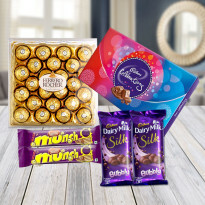 Winni brings you a huge assortment of Diwali chocolate hampers that are sure to add sugariness in the Diwali celebration. Ferrero Rocher : The magnificence beauty, care and interminable consideration for quality and hazelnuts; it is nothing unexpected that Ferrero Rocher is adored, gifted to near and dear ones. Ferrero Rocher brings near and dear ones close to each other. 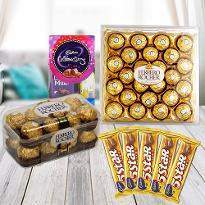 If you are seeking for something crispy and crunchy then Ferrero rochers are the best Diwali chocolate hamper for your beloved ones. 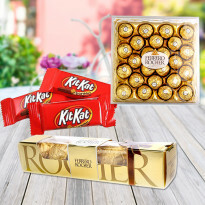 Winni provides Ferrero Rochers in different sizes like a small box of Ferrero Rocher, a big box of Ferrero Rocher and a medium box of Ferrero Rocher. 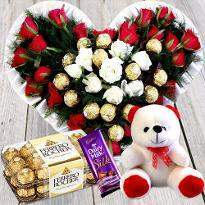 You can also choose Ferrero Rochers bouquet to pamper your loved ones on Diwali festival. 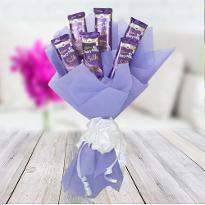 Cadbury Dairy Milk Silk : The delicious chocolates when melt-in-mouth then it pleases the soul as well as taste buds. 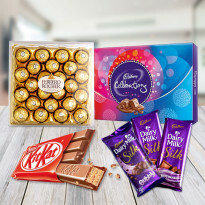 Cadbury Dairy Milk Silk chocolates will steal the heart of your loved ones when you will send them from Winni on the occasion of Diwali festival. 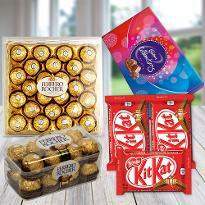 Buy Diwali chocolates online from Winni and send to your loved ones for a hassle-free delivery. KitKat: The crunchiness and crispiness of this chocolate bring a huge smile. 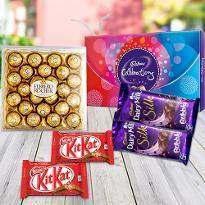 So, if you want to be the reason of your loved ones smile then you can send KitKat chocolates to them on the divine occasion of Diwali. Winni has a plethora of KitKat chocolates along with other chocolates. 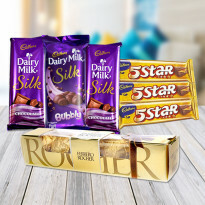 Cadbury Celebration: Chocolates are the best Diwali gift for everyone. 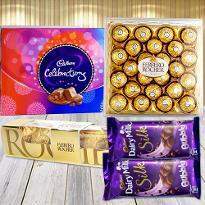 Winni brings a huge collection of Cadbury celebration boxes so that you can buy according to your choice. 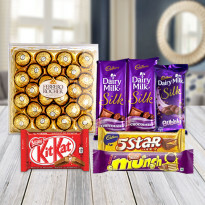 Whether you are looking for a small Cadbury box, or medium or large, here you will find everything. 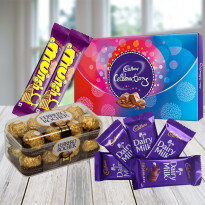 These Cadbury chocolate boxes are filled with different kinds of chocolates and therefore makes a perfect gift for Diwali. 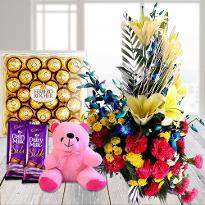 Even you are away from your dear ones in some other part of the world and you want to convey your Diwali wishes and blessings to them then you can choose Winni to place your order for Diwali gift. 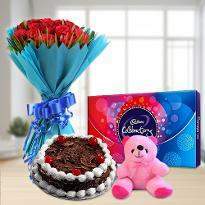 Send Diwali chocolates online in India to express your love and care towards your near and dear ones. 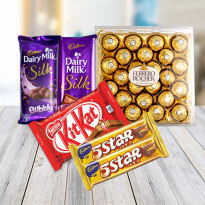 With our online Diwali chocolate delivery, you can win the heart of your friends, relatives, parents, siblings and dear ones. 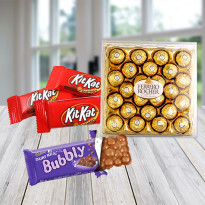 Chocolates are the tantalizing gifts that you can send online in India from Winni. 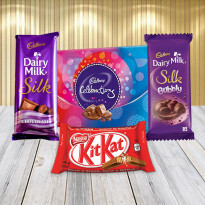 So, go ahead and explore our Diwali chocolate category and buy the apt one now! Products in this category have been rated 4.9 out of 5 based on 143 reviews.